search for amazing marine life, and get under the water, too! I laughed, I cried, I loved it! Will be back! The best time to see dolphins is early in the morning. You will be a completely natural marine environment searching for wild dolphins. Sometimes we are not successful but since many dolphins call Manuel Antonio home, they are found 90% of the time. They can be very shy or they can swim along the side of the boat, jumping and playing. Join us as we explore the Manuel Antonio Marine Preserve and search for dolphins, sea turtles, whales and birds in their natural habitat. 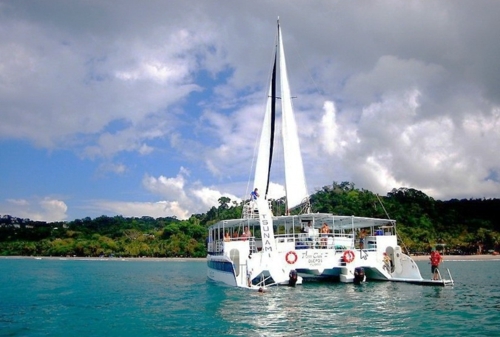 The catamaran cruise for this tour takes you around the Manuel Antonio marine park and through the warm waters of the tropical Pacific Ocean. 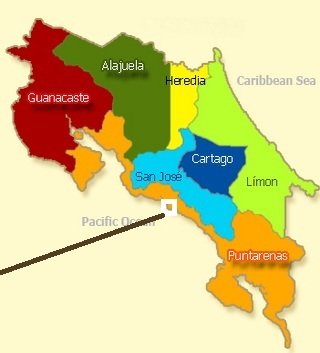 Whales migrate through this area in the early months of the year, but sometimes are found year round. There are also sea turtles enjoying this natural habitat that are frequently seen. Resident dolphins play in the wake as you sail quietly through the blue Pacific waters. The sounds of the wind and waves are frequently interrupted by the splash of dolphins and whales coming near for a closer look. 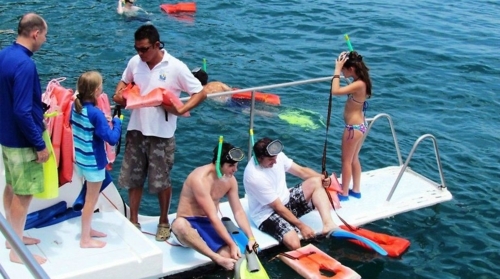 A typical day excursion out on the beautiful warm Pacific blue waters includes searching for whales, turtles and dolphins in the morning, before arriving at a good spot for snorkeling at the entrance to a sheltered cove where you can expect to observe many species of colorful tropical fish. 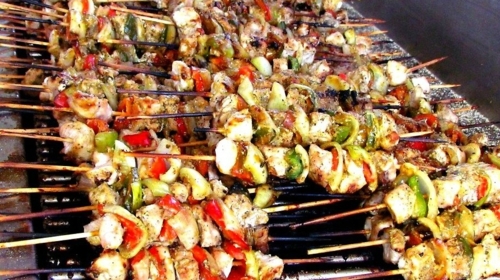 The cruise includes a hot lunch on board - a feast of grilled fish brochettes, pasta salad, fresh local fruits and natural fruit drinks, all accompanied by the wonderful warm hospitality of a the Costa Rica crew. This is a wonderful half day experience for safe fun, marine life viewing and sun with cooling breezes. Be sure to wear comfortable shoes and bring a swimsuit, and insect repellent. Don't forget your camera and plenty of memory space! Discounts are available for large groups. Please Note that all tours and prices are subject to change and availability. Scheduling is approximate. Marine Life seen will vary on each tour, and tours run rain or shine. If in the unlikely situation that sea conditions are unsuitable, the head guide might make the call to cancel or postpone the tour and/or offer an alternative activity for the day, credit, or refund. Refunds of 70% are available up to 24 hours before the tour. No refund available for cancellations within less than 24hr.